Taking part in the Synod on Young People this month was a “graced moment”, the Primate of All Ireland told a press conference at the Holy See press office yesterday. Archbishop Eamon Martin admitted that he came to the event “with scepticism”. 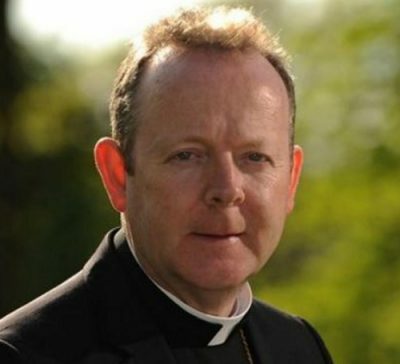 He said that although the Church had been trying to connect with young people in Ireland it “hadn’t made a very good job of it”, in particular once young people had left school. The Archbishop of Armagh voiced his concern that “the Holy Spirit seemed to have been left out of the working document” for the synod, but he had felt the presence of the Holy Spirit in the communion he experienced with the bishops and young people. “I believe if we are to rejuvenate our Church with the life and gifts of young people, then it has to be the action of the Holy Spirit,” Archbishop Martin said. Archbishop Martin was asked if it was time for the Church to move beyond the child abuse scandals. He replied: “People sometimes say to me: ‘Do you think that the Church will ever be able to put this behind it?’ And I say ‘No’, and nor should we because people who have been traumatised by abuse never are able to put it behind them. They carry it throughout their lives and therefore so should we. “Sometimes I feel there are still areas of life in the Church where this issue has not yet come to the light, and there are some areas where this issue is denied and not given its proper place,” Archbishop Martin said. The Synod on Young People runs from 3rd to 28th October. Its final document is due to be published this weekend.